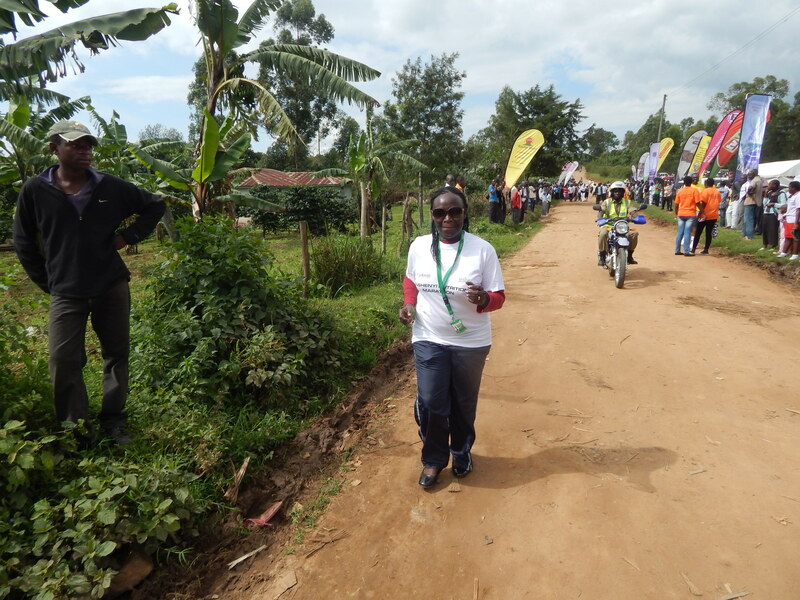 Initiated by the Honorable Mary Karooro Okurut, Minister of Gender, Labour and Social Development and Bushenyi District Member of Parliament, the half-marathon provided a platform to share her vision and raise funds and awareness about health and nutrition, not only in Bushenyi but throughout Uganda. 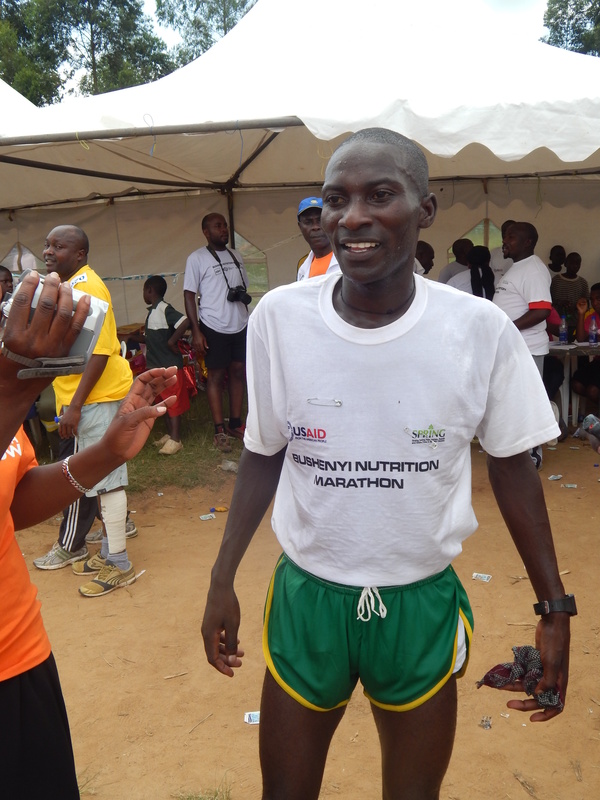 As a testament to the importance of this event, the Chief Runner for the Nutrition Marathon was the 2012 London Olympics and Moscow World Champion Gold Medalist, Stephen Kiprotich. 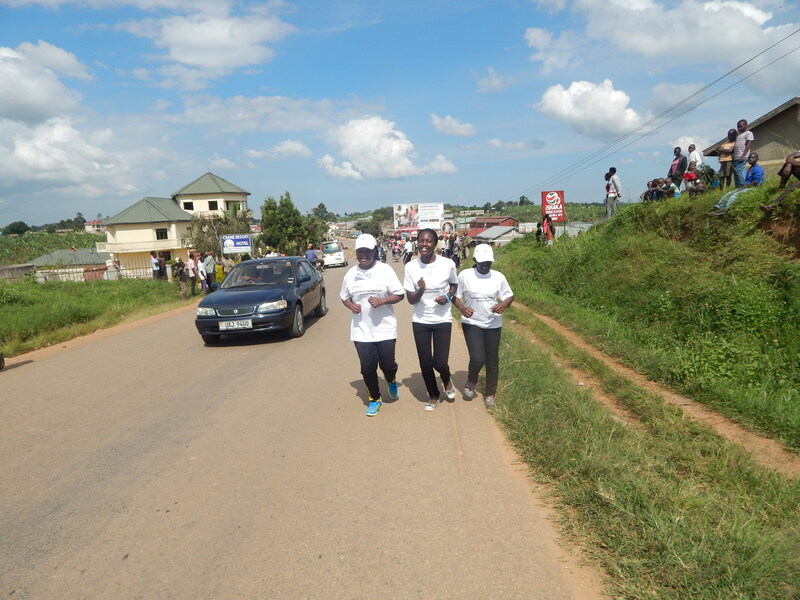 The race kicked off from the Ishaka-Kizinda Stadium in Bushenyi district, and SPRING/Uganda’s main message for the event – “Malnutrition amidst plenty… ACT NOW… Feed and take care of your children” – was prominently visible in all the communities where the marathoners ran. 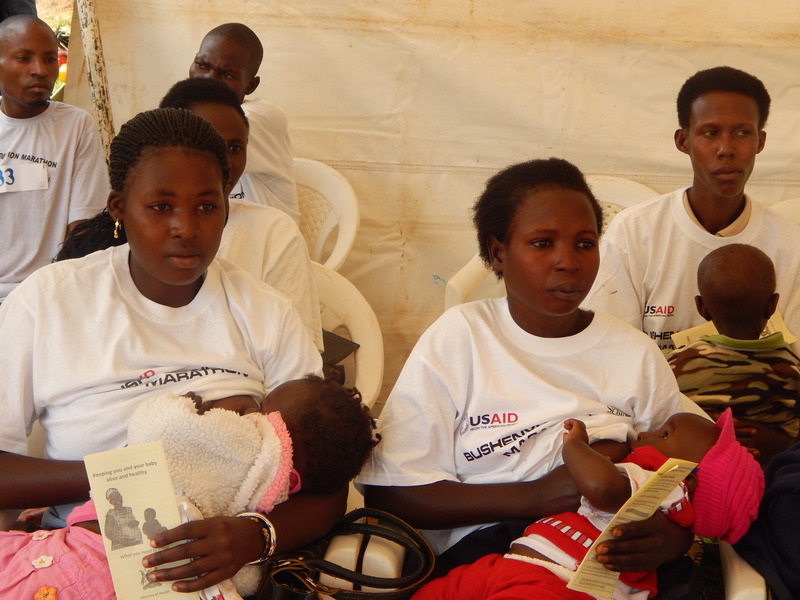 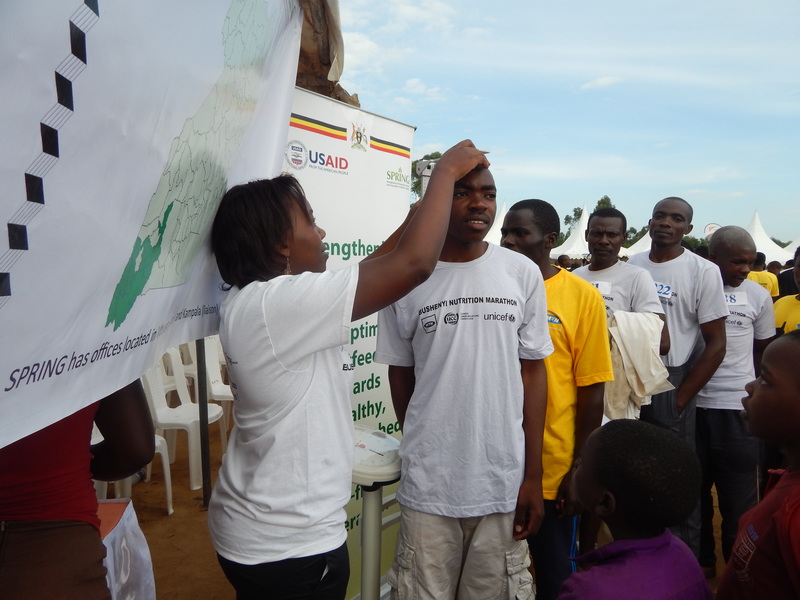 SPRING/Uganda staff organized a tent along the course for measuring BMI, displaying and discussing nutritious foods, and teaching women about proper breastfeeding. 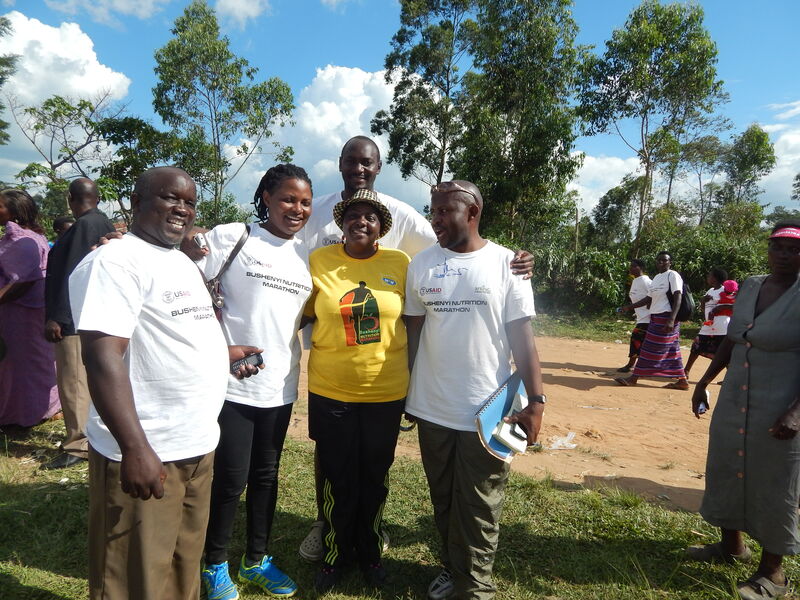 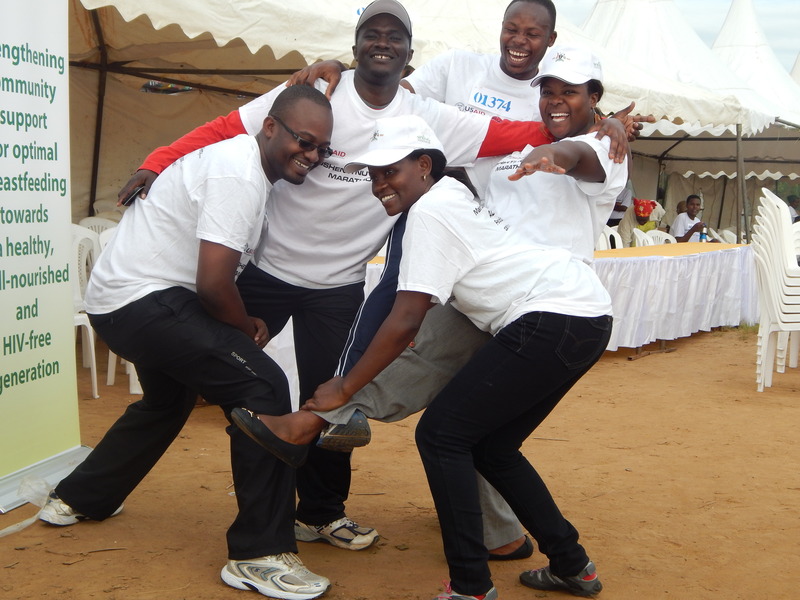 The project also had the honor of sponsoring participants in both the 21Km and the 5Km races, providing T-shirts for many of the runners and encouragement for all. 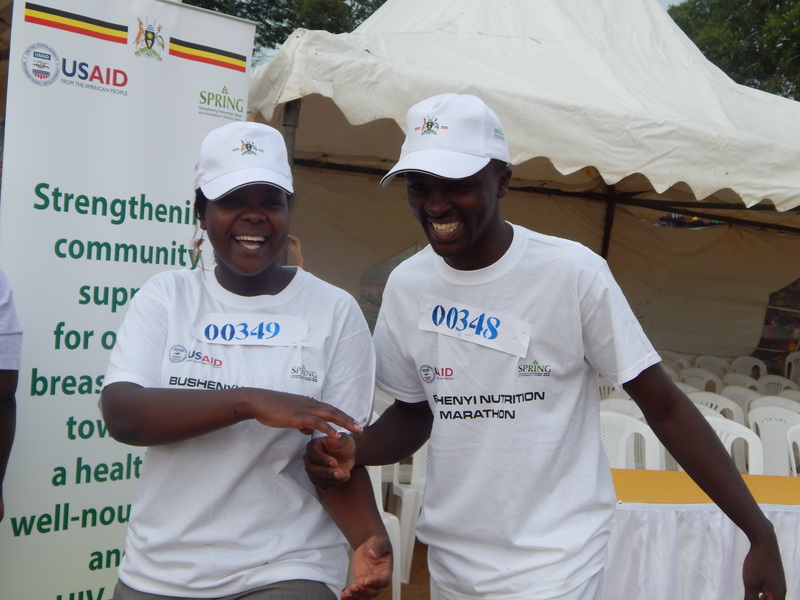 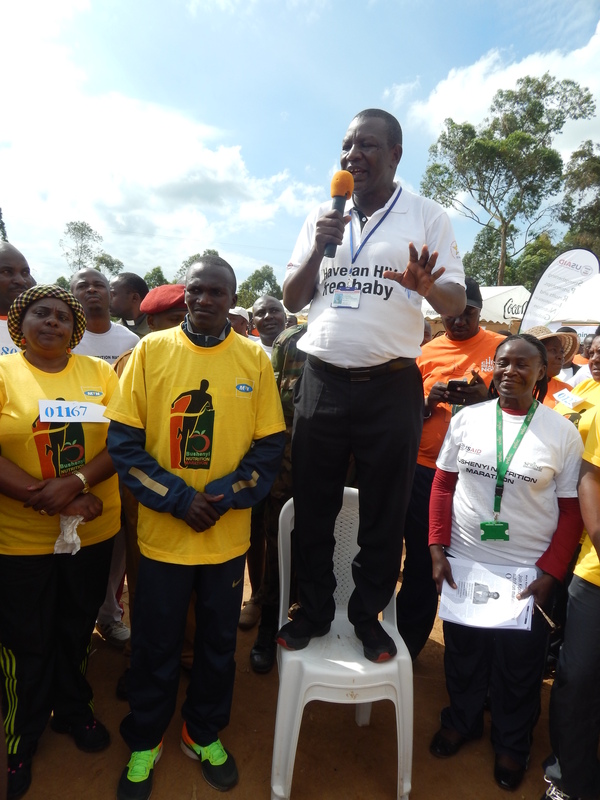 Other sponsors of the Bushenyi Marathon included Ministry of Health, Movit Industries, Bank of Uganda, Fresh Dairy, Uganda Communications Commission, the Presidential Initiative on Banana Industrial Development, Mwanamugimu Nutrition Centre, UNICEF, and World Vision, among others.